New Balance is a brand and retailer of footwear, based out of Boston, Massachusetts, United States. They are best known for their athletic sneakers, but have a wide range of casual options, as well as some clothing and apparel as well. The privately held company sells its products through third party footwear retailers, their own branded New Balance stores (mainly located in shopping malls) and online at NewBalance.com and several other regional sites. The online store is particularly popular because of the number of special offers and deals available. These are redeemed with New Balance coupons, a list of which we keep up to date here at Coupofy so you never have to waste time searching the web for something that will work. Be sure to check back before ordering to ensure you make the most savings possible! You can even find a New Balance Outlet coupon if you prefer to shop in store. 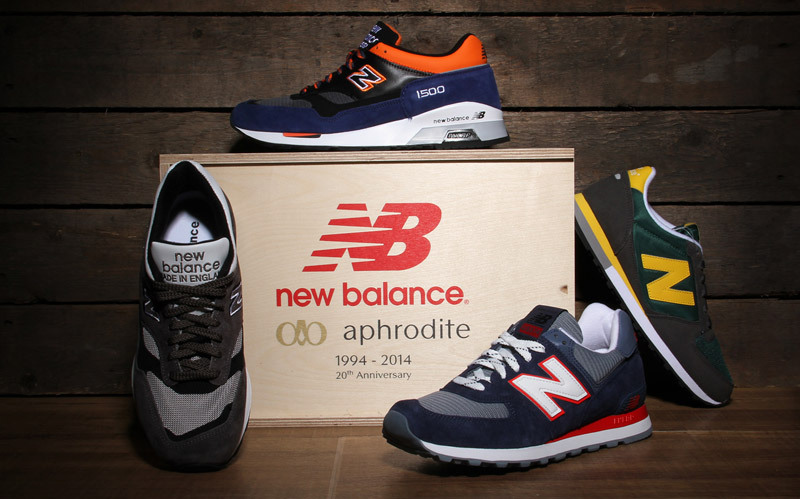 New Balance was founded way back in 1906 by William J. Riley, as the New Balance Arch Support Company. At that time instead of designing shoes themselves, his company manufactured special inserts that improved shoe fitting and supported the arch of people's feet. Their marketing targeted workers who spent a lot of time standing, before becoming a more generalized product for anyone who wanted extra comfort and support. The business continued in this fashion until the 60s when Riley's daughter Eleanor and her husband Paul Kidd designed the first ever running shoe made with a ripple sole and sold with varying widths, called the Trackster. This became a hit with college track teams, but it wasn't until Jim Davis bought the company in the 70s that they found an effective mass marketing strategy by targeting the Boston Marathon and the growing running craze. They have since branched out in to almost all areas of sport, from skateboarding to soccer, as well as casual footwear and clothing. Today they make billions in yearly revenue with Jim Davis serving as Chairman and Robert T. DeMartini as the CEO and President. They employ over 3,000 people across the world. Running, Tennis, Soccer, Gym Training, Golf, Hiking, Baseball, Walking, and Basketball; and they also offer Work shoes, Casual, and Sandals. Clothing available includes T-Shirts, Sleeveless, Long Sleeved, Pants, Shorts, Jackets, Hoodies, Skirts, Dresses, Sports Bras, Sock, and more. You can also purchases Accessories like Hats, Gloves, Scarves, Insoles, Laces, Underwear, Bags, Headbands, Sweatbands, Braces & Support, and Shoe Care products. If you represent a sports team you can also buy customized apparel or kits in bulk. Depending on what special offers are running at the time you may be able to get money off any of the above items or specific items only. To learn more about a New Balance coupon code, simply click the link and a new window will open. The online store is very easy to use. By default you will be taken to the US site but you can change the country by clicking the flag icon at the top left of the page. You can browse via many categories and subcategories or use the search bar if you have something specific in mind. To further help you find what you want you can filter product listings by Type, Size, Color, Width, Price and other parameters depending on which category you are in. New Balance accepted most major credit cards for payment, such as Visa, Mastercard, American Express, and Discover. You can also easily use your Paypal account to checkout and pay as well. If you wish to redeem a New Balance coupon code all you have to do is enter it in to a promo box prior to making payment. If valid you will see a confirmation message and you total order cost should drop according to the offer. The easiest way is to pick a coupon at Coupofy and copy and paste it over. If using a New Balance printable coupon you must take it to your local outlet and give it to the cashier. In the United States shipping is free on all orders that total more than $125, without having to use any kind of New Balance shoes coupon. However occasionally there will also be a New Balance coupon code for free shipping, regardless of the value of the order. If none of these apply Standard UPS shipping costs $7.95. Delivery takes up to 7 business days. You can also pay extra for UPS Ground ($9.95 for 5 business days) and UPS Air Priority (price varies depending on your location). New Balance operate a 30 day return policy, allowing you to return any item in its original condition within 30 days of purchase, for a full refund or exchange. This excludes custom shoe orders or personalized jersey orders. Unless you received items in error or they arrived damaged, you will have to cover both the original shipping charges and the return cost. By logging in to your account you can print a pre-paid label, the cost of which will be deducted from the refund.